GSA’s WW1 Roll of Honour research project has recently been completed. We are now working on a project to research individuals who were involved in Home Front activities during the First World War, with a view to creating a Home Front memorial as a partnership piece to the Roll of Honour. We would like volunteers to commit to 1 day a week for 12 weeks in the first instance, starting in November. We are looking for enthusiastic, reliable and trustworthy individuals with an interest in history, WW1 and/or the history of GSA and its students and staff. You will have some experience of conducting research, good communication skills and excellent attention to detail. 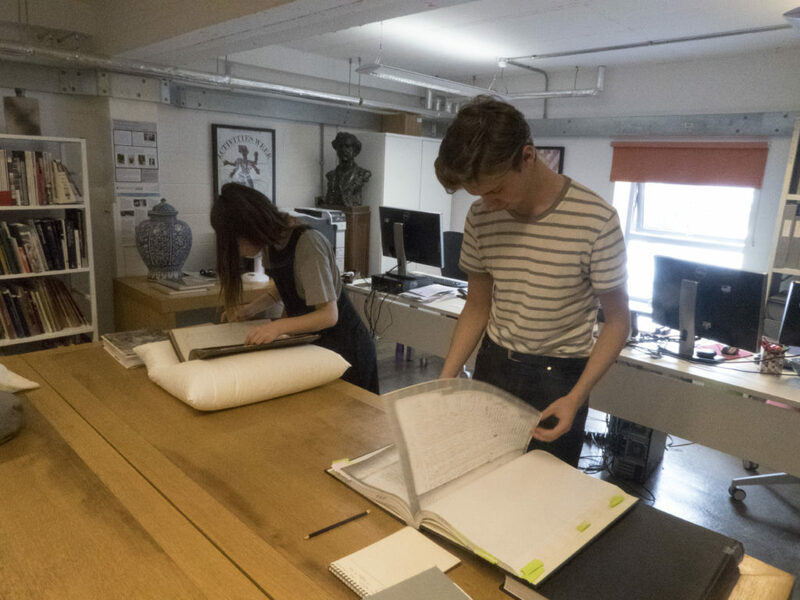 This is a great opportunity for those of you who’d like to gain more experience of working with original archive material and conducting archival research. Full training will be provided and you will learn how to undertake this type of research, how to use the resources available, how to handle the material properly, how to use Archon collections management software, and how to compile biographies. There will also be opportunities to disseminate your research via presentations/talks and via our blog. Where possible we also try and plan events (such as talks or visits) and development opportunities as part of your placement. It is envisaged that an induction morning will be held on Monday 13th November and that volunteers should be available to start the following week (Tuesday 21st November). If you are interested in applying please send a covering letter and CV (including contact details for two referees) to Michelle Kaye, Collections Development Officer, m.kaye@gsa.ac.uk by 5pm on Monday 23rd October.